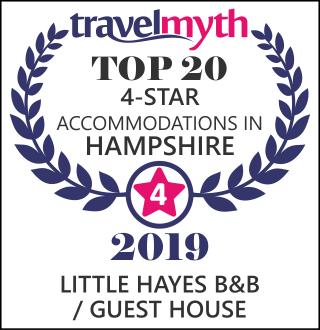 Little Hayes Guest House is a family run Lyndhurst B&B, New Forest. Offering comfortable, homely bed and breakfast accommodation in the heart of the New Forest National Park in Hampshire, UK. All guests have free use of a Go New Forest discount card, which gives you up to 25% discount on a range of local goods and services in Lyndhurst and so many of the other best places to visit in the New Forest. If you're looking for a nice, cosy Lyndhurst B&B to get away from the hustle and bustle, come and join us for a cheap break in the New Forest.